The Lara Croft GO Official Soundtrack will grace our Community Discography page once all of the tracks have been released (CD promises by Friday). 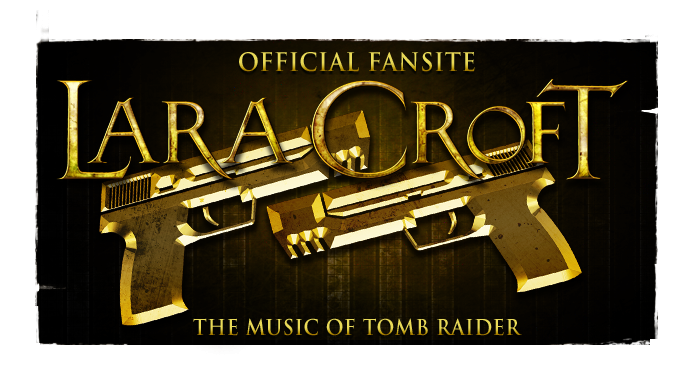 Read the entire Q&A and see additional photographs from the Lara Croft GO recordings at the official Tomb Raider Tumblr, as well as after the jump below! Crystal Dynamics: How was the original music from the classic Tomb Raider games part of your inspiration for Lara Croft GO? Pixel Audio: We were inspired by the work of Nathan McCree (Tomb Raider I, II and III) in the early stage of production. His musical composition hints to something grandiose and mysterious, almost religious, with a feeling of loneliness, while remaining luminous. Our challenge was to keep these key elements while acknowledging that Lara Croft GO is a completely different game than the franchise. It’s a turn-based puzzle-adventure game. Even though it can become very intense at times, there are no action sequences per se. 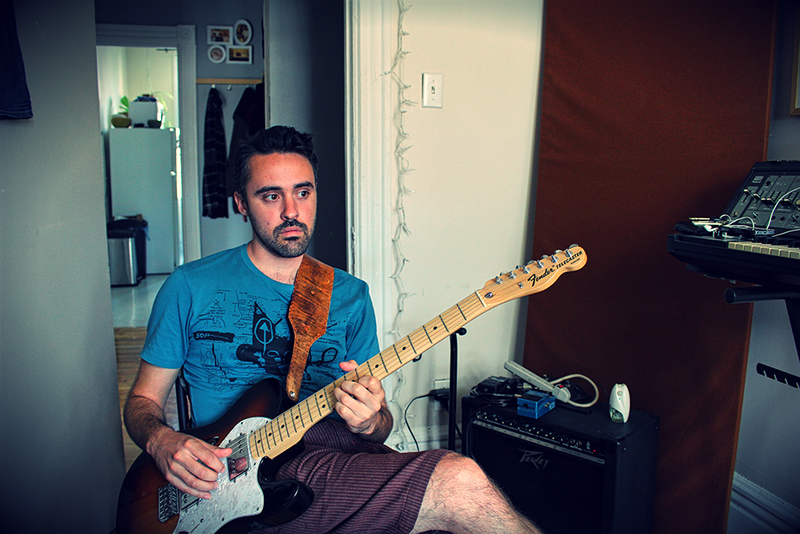 We decided to go for a softer and more ambient mood in general. Crystal Dynamics: Before the soundtrack was even completed, the idea was thrown around that it could be released on vinyl. Did that decision influence the creation process in any way? Pixel Audio: When we started to compose, we didn’t know yet that the soundtrack was going to be released. The distinctive sound of the vinyl inspired us from the very beginning. At the time, we were already in the process of creating virtual instruments based on vinyl samplings. It just seemed like a good timing to try it out and integrate it in our music. In our perspective, the connection one has with vinyl records today is similar to how one relates to bigger than life characters like Lara Croft. They have become collector items, even treasures. We wanted to highlight this parallel by creating unique and raw music, whose design remains mysterious. Crystal Dynamics: Lara Croft GO’s soundtrack is very much filled with the game’s sound effects. Is that something you are used to doing? Pixel Audio: Not at all! When playing the game for the first time, we were extremely impressed by the work of James Wearing (audio lead and sound designer at Square Enix Montréal). The soundscape of the game has such musicality, it felt like an additional instrument. We wanted to include it in the soundtrack to give it justice. It is also a reference to concept albums from the 70s. Every track of the album is introduced by a different acoustic environment, which is directly related to the location where the music plays in the game. In short, we felt that the audio experience would not be complete without the addition of James’ work. Crystal Dynamics: LCGO is a puzzle game. You were asked to create a music that helps focusing on the gameplay while being pleasant. How did you work on achieving this? Pixel Audio: We were fortunate enough to have a copy of the game early on in development and we played a lot (we are incurable gamers). During those sessions, we were listening to our unfinished music in the background, but also other kinds of music. It was easy to tell what worked and what didn’t. We listened to many records: Tangerine Dream, Moby, The Mysterious Cities Of Gold Original Soundtrack, music from the Tomb Raider games and many more. We also established from the get-go that the music had to be constantly changing and be very atmospheric. On one hand, we wanted to prevent the loops to be heard too easily. On the other, we didn’t want the music to interfere with the player while thinking. 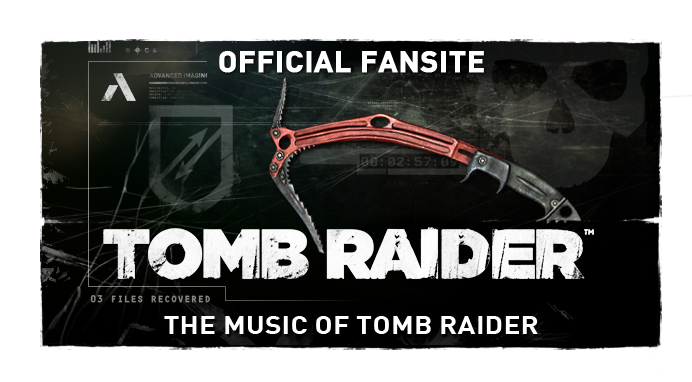 Crystal Dynamics: People are always curious to know what are the most unusual instruments composers use. Any jump to mind? 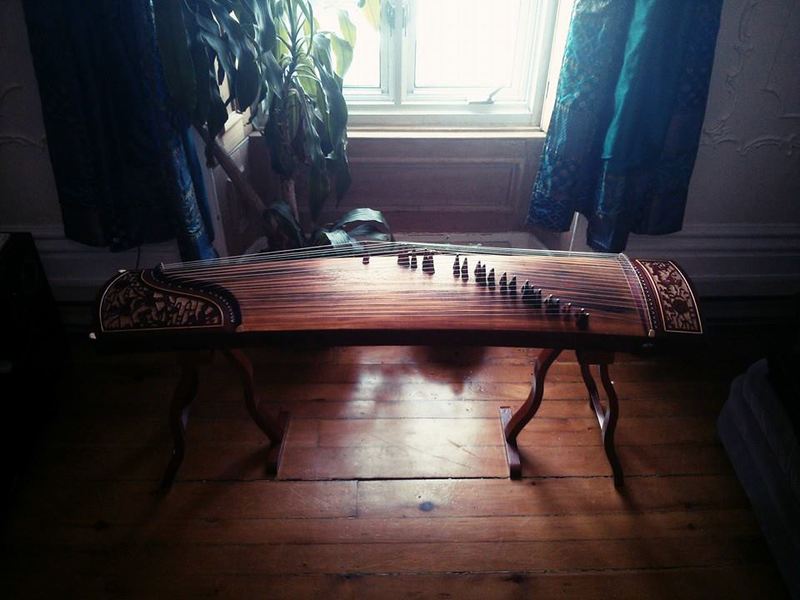 Pixel Audio: We used a Guzheng. It’s a traditional Chinese plucked string instrument. The oldest traces of this instrument dates from 771-453 BCE. It seemed extremely interesting for us to bring an instrument rooted thousands of years ago together with modern sounds. Also, the sound of the Guzheng gives the feeling that we’re travelling across time and civilizations. 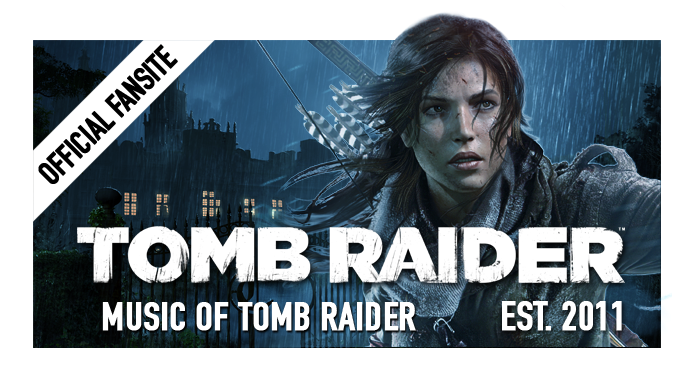 It seemed an excellent parallel to make with a character like Lara Croft, which is both an archaeologist and adventurer, visiting ancient tombs and mysterious ruins. We also used sampling to create original virtual instruments. 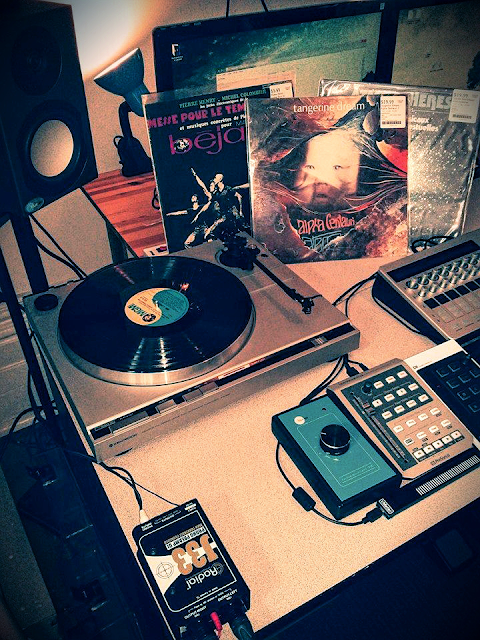 We spent hours listening to vinyl records in search of isolated sounds. The majority of the instruments that can be heard in the game come from sampling. Not to mention the sparing use of electric guitars. Crystal Dynamics: You got to play the soundtrack of the game live during PAX, in Seattle. 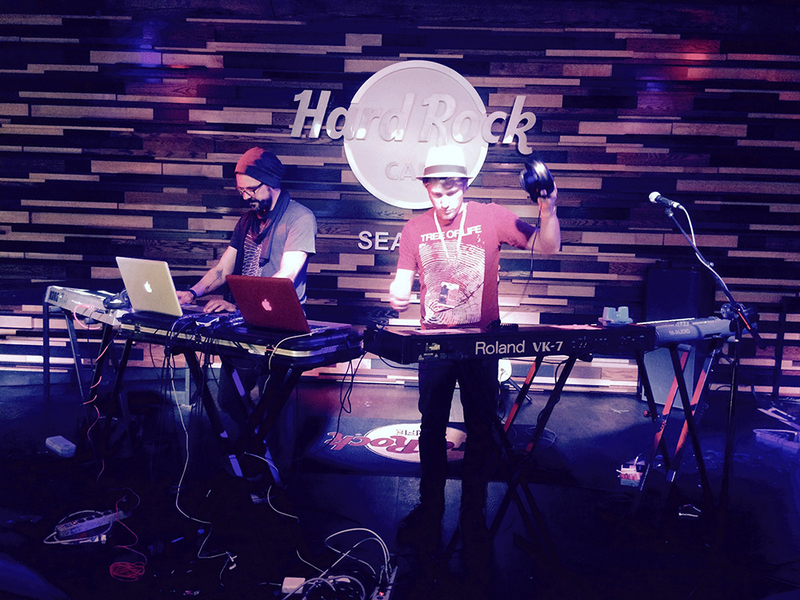 Was it the first time you played a soundtrack live in front of an audience? Pixel Audio: Yes!!! And it was awesome! We all come from the live music scene, here in Montreal; We are, or we were, all members of music bands. It was a pleasure to go back on stage and share Lara Craft Go music, which we are very proud of. We hope we’ll have the chance to reproduce this kind of event again in a near future. Crystal Dynamics: The style is very different from your previous work on Hitman GO and Hitman: Sniper but also different from what was previously done in the Tomb Raider/Lara Croft franchise. How did you end up finding the vibe for Lara Croft GO’s music? Pixel Audio: We wanted to create something special, just like the game itself. The team at Square Enix Montreal sent us unusual musical references from the beginning, like Trip-Hop and Surf Rock. We immediately realized that they were looking for a unique musical landscape.